Manchester United boss David Moyes has been given assurances that significant funds are available to him for this month and the summer transfer windows. 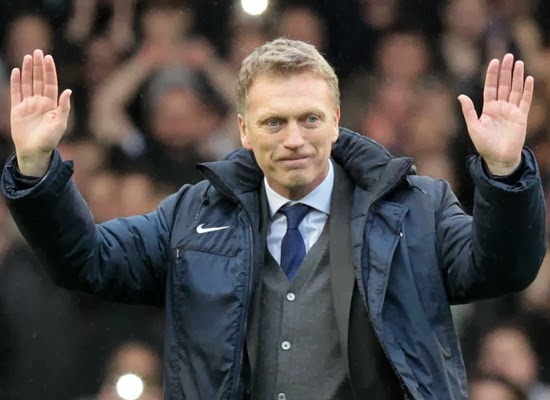 The club is targeting a left-back and central midfielder and senior figures at the club, Moyes will receive all the financial support from staff, if he needs to make any moves. Borussia Dortmund duo Marco Reus and Ilkay Gundogan are both on the list, as are Atletico Madrid midfielder Koke, Porto's highly-rated defender Eliaquim Mangala and Southampton left-back Luke Shaw. David Moyes is determined to bolster his squad before the January transfer window closes, but there's a real possibility that none of the aforementioned players will be available this month. With the Glazers reluctant to spend on short-term fixes, Moyes may subsequently need to wait until the summer before making any high-profile signings. Manchester United, who currently sit seventh in the Premier League table, take on Sunderland in the Capital One Cup semi-final first leg this evening - two days after being dumped out of the FA Cup by Swansea City. How do you think about Transfer boost for Manchester United?